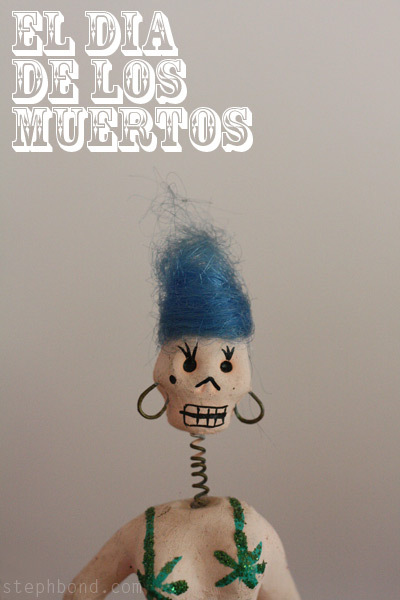 Bondville: Happy el Dia de los Muertos! Happy el Dia de los Muertos! Wishing you all a happy start to the holiday season! With half of our family living in the US, we love the excitement of Halloween. Yes, it's mostly a push by retailers to sell more junk to us each year, but the kids have an absolute ball and who can deny the chance to chat to neighbours in fancy dress. Too fun! My favourite celebration is tomorrow - the 2nd of November, when Mexican celebrate Dia de los Muertos - the Day Of The Dead. I love that normally macabre icons are turned into celebratory figures as a nation remembers with joy those that have passed. There's something about this time of the year, which has traditionally been a time of giving thanks for bountiful harvests, that I can connect with. And adding a little more fun in our lives is something I'm happy to buy into. Enjoy! P.S. 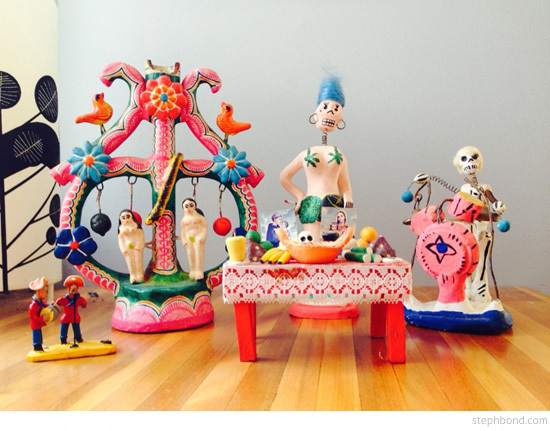 this is my little collection of calaveras and el Dia de los Muertos figurines from living in San Francisco and New York City. And if you'd like to see my fancy dress costume from the weekend (La Calavera Catrina!) - head here to Instagram.